In part one of Some Thoughts on Mentoring, I examined mentors focusing beyond the survival needs of beginning teachers to building belonging, power, freedom, and fun. Teachers who know how to fulfill their passion for teaching, while meeting required standards, are empowered. Developing a new teacher’s coachability was also addressed. As the school year progresses, the amount of time that the mentor spends with the beginning teacher is likely to increase. That’s the opposite of what you find happening in most schools. Often, there’s a push at the beginning of the year for the mentor to spend time with the mentee working with critical survival concerns and then to back away. But, as the year goes on, the issues that a beginning teacher is facing are of ever-increasing complexity such as dealing with parent communications, collaborating with colleagues, and assigning grades. As I think back, I cringe at the thought that I actually put grades on a permanent record for students during my first year of teaching. I was far from truly understanding at any depth, the assessments and the impact of the decisions that I was making. Engagement of a mentor at this point would be very important. Whose job is it to mentor the beginning teacher? I suggest that the job of mentoring the beginning teacher belongs to the entire school system. At some degree, the job of the official mentor, the person named to be in charge as a mentor, might be mentoring the system or as I label it sometimes, “mentoring” mentoring. Is the beginning teacher getting the support that they should be receiving from administration, the curriculum office and colleagues? The mentor should look at the support system in place for the new teacher and make sure that those opportunities are available. The mentor builds the confidence of the new teacher to request the services that are available to support her. It is a big step and a major commitment. The reality is that, as a mentor, you gain in your own professionalism and skill development. Research identifies that all the way back to the days of the blacksmith taking on an apprentice, mentoring extends the skills and the professional life of the mentor. As a mentor, when you’re having to explore, “Why you do what you do?” and “What it is that you actually do?”, you sharpen your perspective and your daily skill set. Why would someone invest in being a mentor? When I was serving as a cooperating teacher for a student teacher, well into her time with me, we decided to focus an observation and feedback session around maintaining momentum. I observed throughout the morning noting things she did, or could do, to keep the momentum of the lesson going and the students engaged. We sat down for a debrief over lunch and I gave her a list of the things I noted she had done. She was really pleased with the list. Many of her positive actions were unconscious. I then said, “I have one suggestion. Do you remember when Tommy jumped up out of his seat and you stopped in the middle of that math problem you were explaining and said, “Tommy, sit down?” One strategy you might try in an instance like that is to keep delivering your message and walk back towards where Tommy was seated. Your physical proximity may have moved Tommy back into his seat without breaking the momentum of your lesson.” She looked at me and said, “Oh, that’s great,” and jotted down a note. We finished lunch and went back into the classroom. She was observing as I was leading an activity with the kids. It wasn’t five minutes into the activity, when I said, “Tommy, sit down!” As I did, I glanced over to the student teacher and she flashed me a big smile. I smiled back at her, my consciousness raised. The rest of that lesson, I practiced proximity to build and maintain my momentum with students. 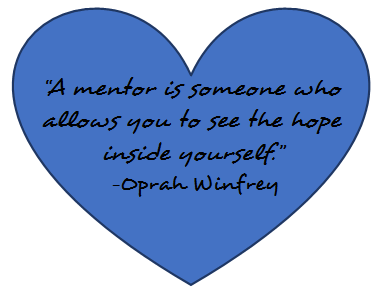 As a mentor, you are being asked to give. You’re giving to the profession. I’d suggest you’re giving to your school because the more successful a beginning teacher is, the greater the growth his students will have that year and the more successful they’ll be the following years within your school. While you’re giving, you have the opportunity to build and strengthen your own skill set and to celebrate coachability. 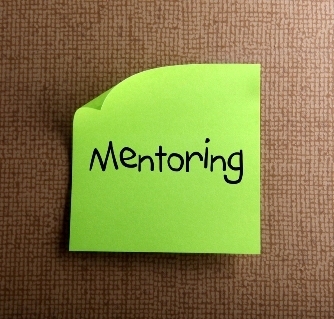 I think mentoring is such an important topic which is connected to your PLC posts. I just wanted to add that schools need to give some direction, professional development, and time lines for mentors. You don’t want all the new teachers to receive access to the same information. Well meaning mentors need some training. I’ve seen so many mentors who do very little, because they don’t realize what they need to do. Also, the school should differentiate their mentor programs for those that are new to the profession and those that are new to the school. Veteran teachers, who are new to the school, need a mentor as well. Each school has a different culture, it has lots of software that is potentially new to the teacher, and it has different policies on discipline and instruction that a veteran teacher will need to know. Thanks for this important challenge.